I finished this audiobook last week and agree with you in every way - I can't imagine anyone with even a little bit of a sense of humor who would not thoroughly enjoy listening to this story, It was a definite winner! This is next in my ears. 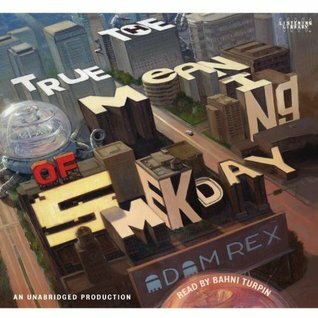 Note that this book recently won the American Library Association's Odyssey Award, for the best audiobook for children and teens (http://bit.ly/gLgYia). I so need this one for my kids. All too often I'm listening to a book that's not appropriate for little ears!